Using a GSM modem, or an Android phone as a modem, is a quick and efficient way to get started with SMS and/or MMS applications. No special service provider subscriptions are required, just a standard SIM card that has been activated for use with a mobile operator. NowSMS Lite is designed to send and receive SMS and MMS messages using a GSM (GRPS/EDGE/3G/LTE) modem, or an Android phone acting as a modem. 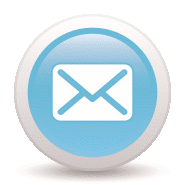 End users can send and receive SMS and MMS messages via a web interface or their regular e-mail client. Applications can send and receive SMS and MMS messages using standard protocols such as HTTP, SMTP/POP3/IMAP, SMPP or MM7, or using API examples for Java, PHP or command-line interfaces. NowSMS Lite is available as a free 30-day trial. Click here to download the free 30-day trial version of NowSMS Lite. A new version is available that supports the ability to use Android phones as GSM modem devices for both sending and receiving SMS and MMS messages. NowSMS Lite allows clients to submit SMS messages to NowSMS for delivery via the GSM modem, using either the HTTP, e-mail or SMPP protocols. NowSMS Lite also provides examples for submitting SMS messages from Java, PHP and a command line interface. Received SMS messages can be routed to an application program using either HTTP, e-mail, SMPP, or a command-line interface. NowSMS Lite allows clients to submit MMS messages for delivery via the GSM modem, using either a proprietary HTTP interface that supports both HTTP GET and POST operations, e-mail, or using the MM7 protocol. MM7 is a SOAP/XML based protocol that operates over HTTP POST. Additionally, NowSMS Lite provides examples for submitting MMS messages from Java, PHP and a command line interface. Received MMS messages can be routed from NowSMS Lite to an application program using either MM7, an HTTP interface optimised for PHP, e-mail, or via a file/directory based interface. Click here to view or download the NowSMS Lite product manual in PDF format.